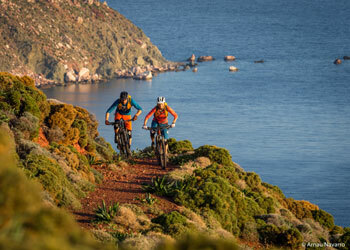 Bike & Hotel Trans-Crete from Palekastro to Zaros: Crete is a world of its own with many charming facets. 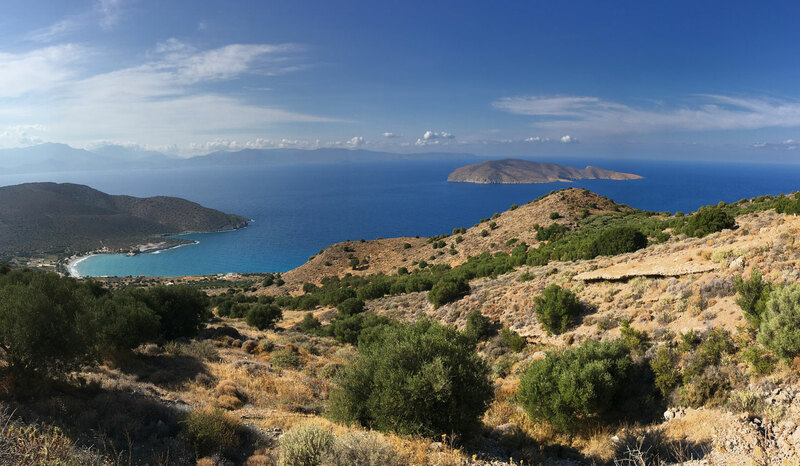 As the largest island of Greece, Crete offers a variety of landscapes, pristine villages, cozy people with their own traditions and crystal-clear sea with beautiful beaches – almost everything you dream of in a vacation. 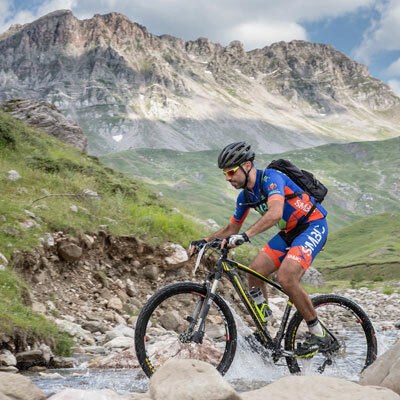 A world made for mountain biking! 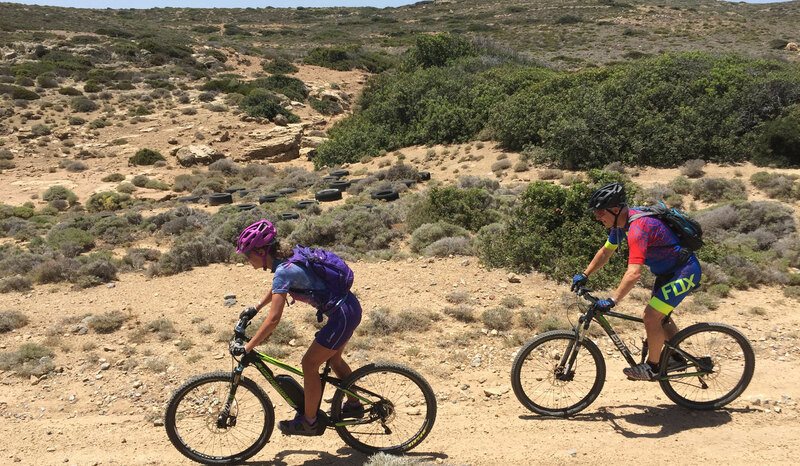 The journey from Palekastro to Zaros will take you from the far east of the island to its central part. A well-trained and competent guide will accompany you and help you discover all beautiful aspects of this area. 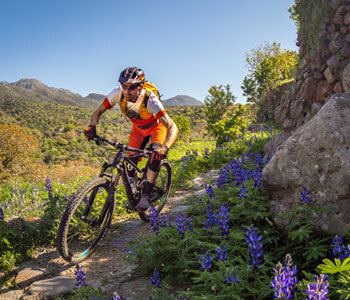 You will explore the fascinating mountains of Crete. 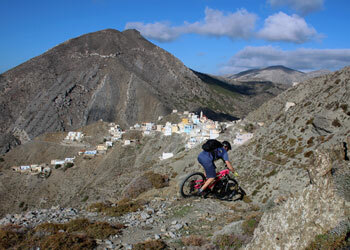 Sweaty climbs will be rewarded with fabulous views of the blue glittering Libyan Sea or on impressive mountain ranges. 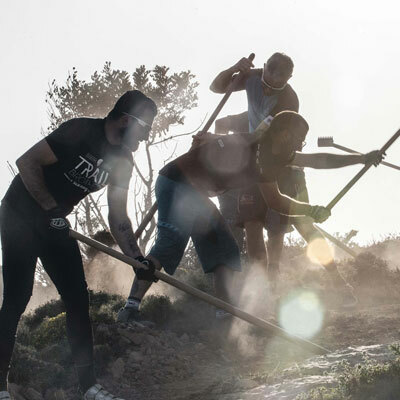 The lush nature with large banana plantations and ancient olive groves, as well as quaint mountain villages will give you the feeling of traveling back in time. Beautiful beaches are always available for a refreshing swim. 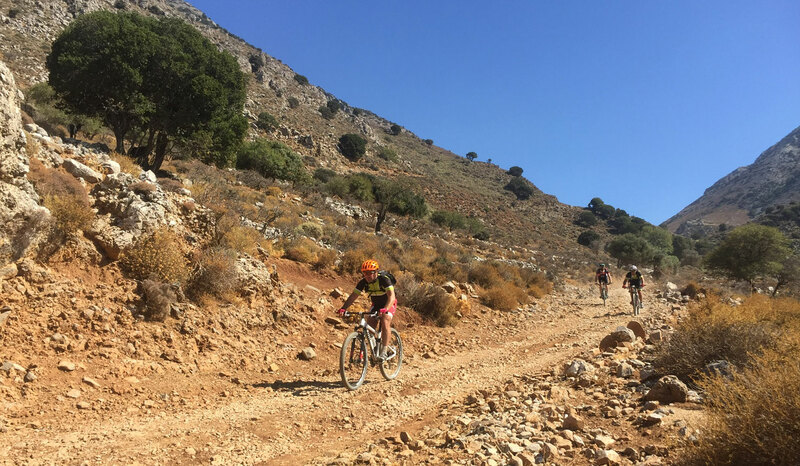 This demanding Trans-Crete tour is especially designed for mountain bikers desiring an intense nature experience away from the major tourist routes. 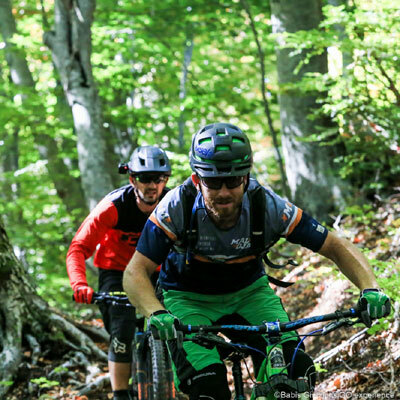 You will mainly ride on nature, forest and small asphalt roads; single trails are rather rare. 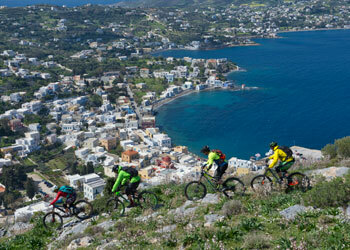 Our tip: stay a bit longer on Crete before or after the tour! 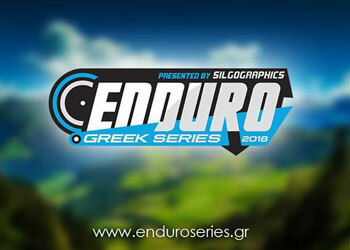 Visit the great archaeological sites of the island, take a stroll through the beautiful old town of Chania in the west of Crete, walk through the famous Samaria Gorge and do not miss the natural paradise of the Elafonisi peninsula! 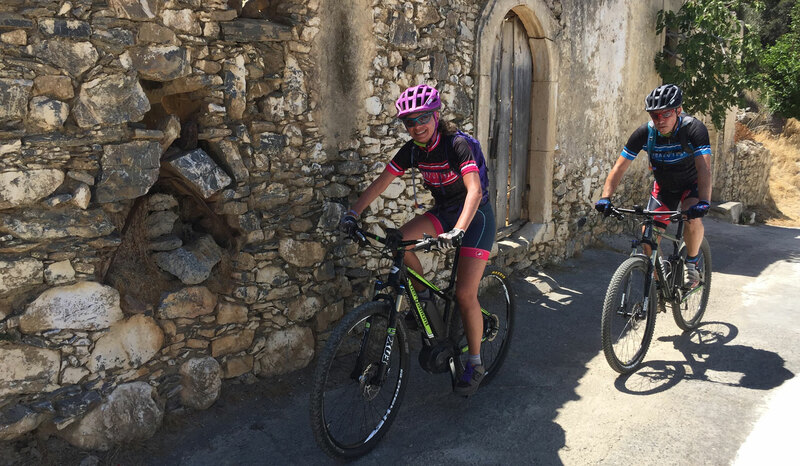 On this trip, you will be accommodated in carefully selected, country-specific, bike-friendly accommodations, sometimes in charming mountain villages, sometimes in close to the sea. 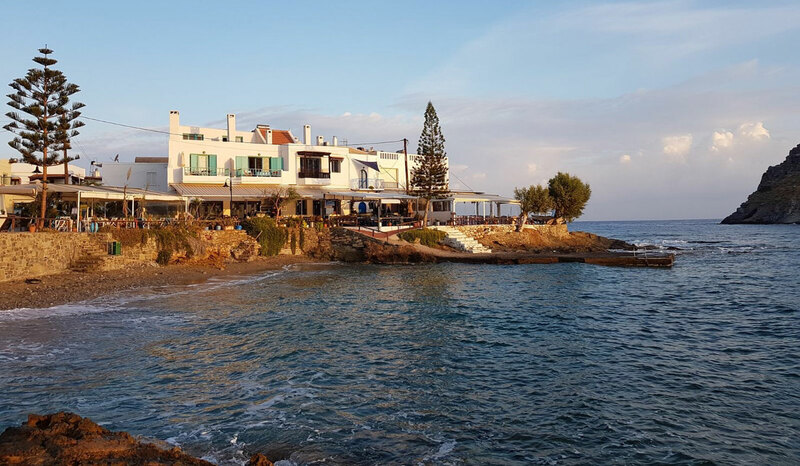 Everywhere you will encounter exuberant Greek hospitality, which will not only make you feel most welcome, but almost make you feel at home.